Two months from today – on October 17 — we will hold our 2018 Gala! 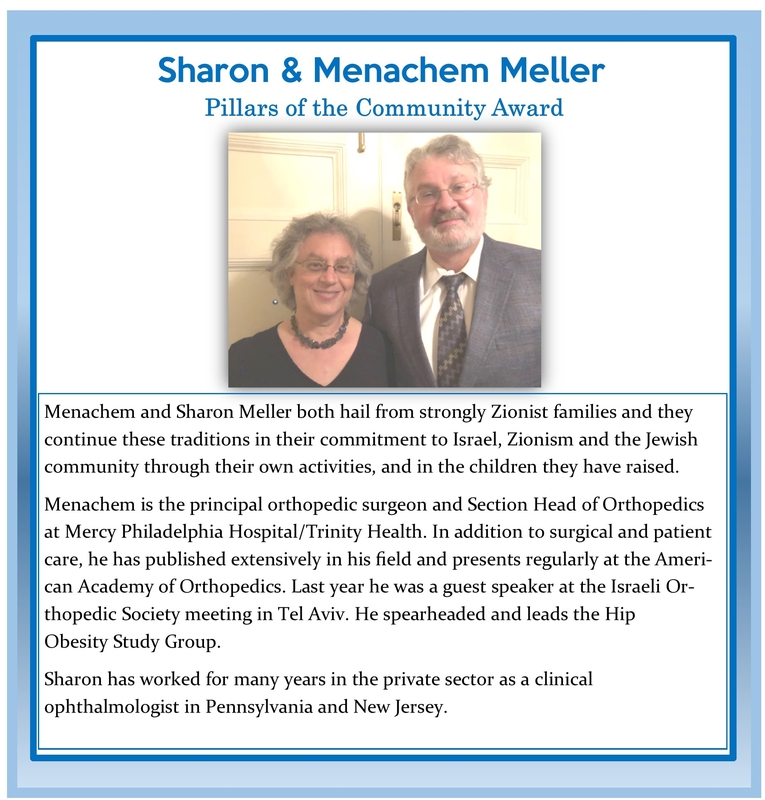 The entire Greater Philadelphia ZOA Family looks forward to this annual celebration as we come together for an evening of Patriotism and Zionism and to honor some of our region’s most active ardent Zionists. 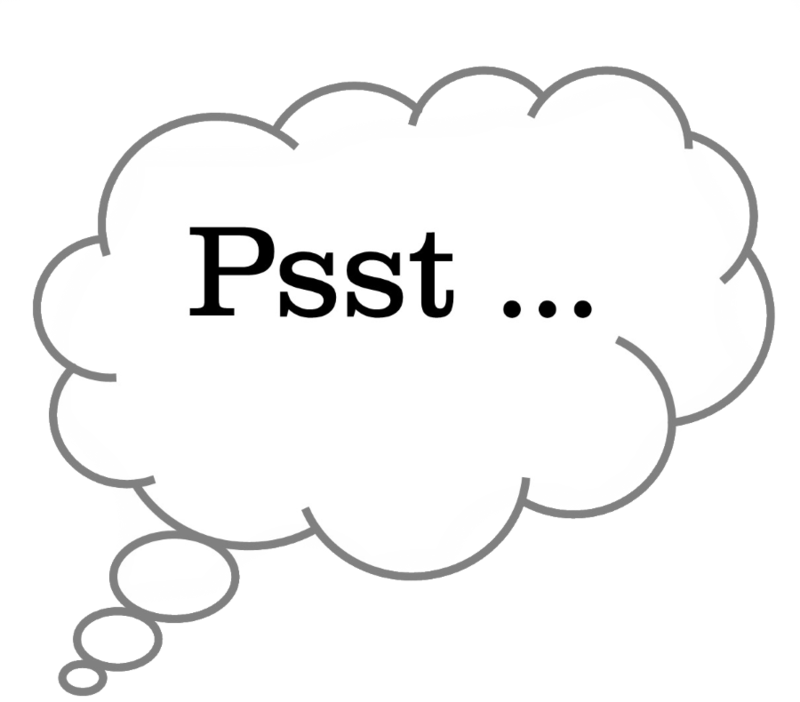 So who are the people we will honor at our Gala? 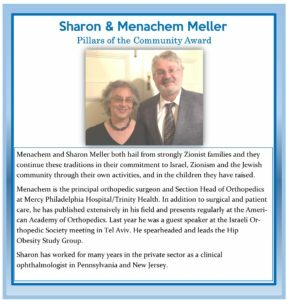 We begin our series of honoree profiles below with Sharon and Menachem Meller, who will receive our Amudei Ha’Kehillah Award as Pillars of the Community. Please scroll down to learn just a taste of why we are honoring this wonderful couple. 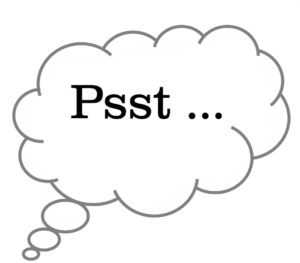 Participate in Greater Philadelphia ZOA’s Gala! 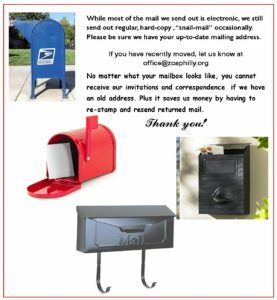 Please be sure to include your congratulatory notices for our wonderful and deserving honorees — and if you have a business or service to promote or know someone who does: Please take advantage of this opportunity to let our members, friends and supporters become new customers, clients or patients via an advertisement in our Ad Journal. 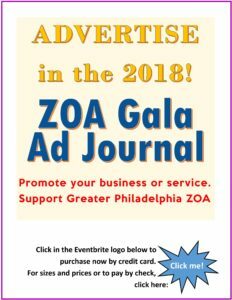 All proceeds from notices and ads benefit Greater Philadelphia ZOA’s education, advocacy and outreach efforts. Please see our list of honorees at left, and links for Tribute Book/Ad Journal information and Gala tickets below that. Attend our Gala! Be there to see us bestow our awards! Enjoy delicious glatt-kosher food and drink! 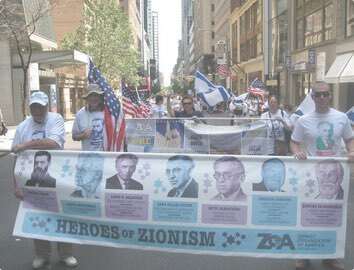 Revel in the camaraderie of hundreds of Zionists from throughout our region! Early-bird discount ends on September 17! Please see ticket and ad/notice links below. 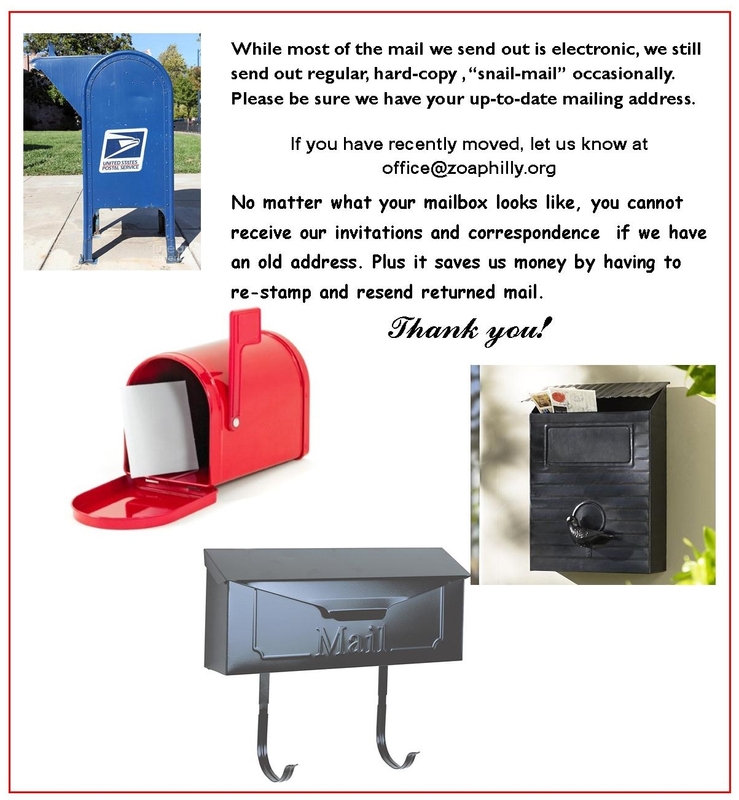 If you have any questions, please contact our Office at 610-660-9466.